In any industry, your customer’s payment information needs to be secure. Many systems used today are unencrypted and at risk of being hacked. PCI, the Payment Card Industry, is a group that sets security standards for card readers and payment processing systems. They suggest P2PE to prevent data breaches executed through malware. While many P2PE solutions exist, only a handful are PCI certified and therefore guaranteed to be secure. Partnered with Bluefin Payment Systems, Intelligent Contacts offers one of the only PCI certified P2PE solutions in North America. Point-to-Point Encryption (P2PE) assigns encryption keys to each transaction to keep payment data safe. This dramatically reduces the risk of data breaches by keeping sensitive data secure as it moves through and is stored in merchant systems. P2PE also reduces your PCI scope making it easier than ever for you to stay 100% PCI compliant. EMV, named for its original designers (Europay, MasterCard, and Visa), also uses encryption to protect credit and debit cards. Unlike traditional magnetic strips that can be stolen and copied, EMV uses a built-in microchip to store encrypted cardholder data. The chip authenticates each transaction, assigning it a random key that cannot be reused in the future. This additional protection helps prevent criminals from copying and falsifying card data, reducing your risk of fraud. How do P2PE and EMV work for me? While EMV security chips protect card data before the purchase, it is not capable of protecting information once it’s in merchant systems. Similarly, when the card isn’t physically present―for example, when an agent enters card information given over the phone—EMV has no effect. Protection relies on the security of the merchant’s processing system. This is where PCI comes in. PCI security standards ensure that customer payment data remains private. Intelligent Contacts’ P2PE solution keeps cardholder data encrypted and secure. Working together, these two security systems protect card data before, during, and after purchase. Although adoption of EMV security is spreading throughout the United States and the world, EMV alone isn’t enough to keep your customers safe. Without secure payment processing, your company and customers are left vulnerable. Trying to maintain PCI compliance yourself can mean securing your entire network. Anything operating on the same network as payment processing is put in scope of PCI. However, Intelligent Contacts can take on the PCI burden for you. Using our P2PE solution, cardholder data comes directly to our payment processing systems. It never touches your network. Drastically reduce your PCI scope and your security risk with Intelligent Contacts. Check out this video from the PCI Security Council for more information about EMV technology and how it’s changing the world of payment processing. Who are millennials and why should you care about their consumer preferences? A single generation is revolutionizing sales. Social media, telvision, mobile devices, and the internet mean they enter the marketplace fully aware that everything and everyone around them is out to sell them something. And they're eager to buy. Millennials are the single largest consumer segment in the market today, holding both massive buying power and unprecedented influence. According to a recent Nielson report, they spend $65 billion a year and influence over $1 trillion in total consumer spending. Is your business prepared to capitalize on their enormous spend? 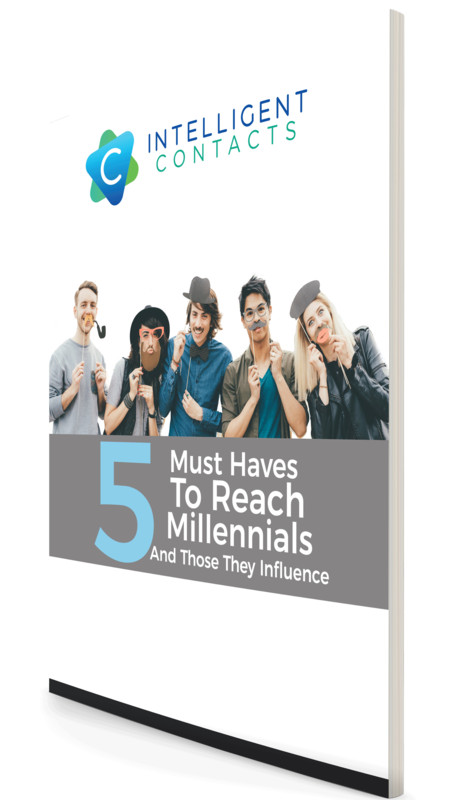 Discover five business "must haves" to engaging the growing millennial mindset in this free resource guide. Get regular industry insights and updates sent straight to your inbox!